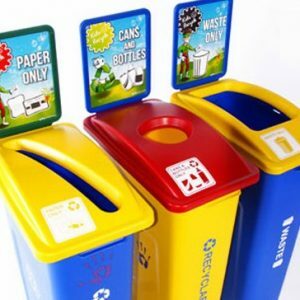 Designed to fit over any 45 gallon barrel, the Barrel Topper Lid comes in a range of colours and an assortment of opening options to best fit your waste stream. 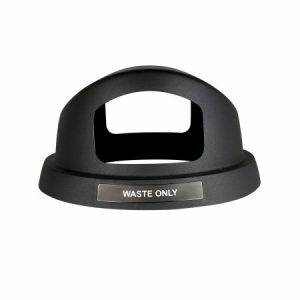 The Barrel Topper Lid protects collected waste from the elements and turns any bland barrel into an effective collection station. 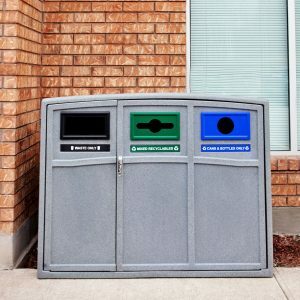 Gain new perspective on your outdoor recycling and waste collection with the Vantage. 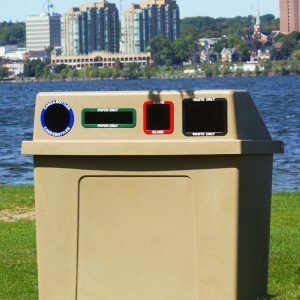 Featuring a sleek, two-toned finish, lockable doors and a metal base for stability, the Vantage can stand up to anything Mother Nature (or anyone else) throws at it. 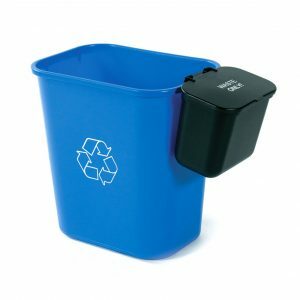 Sometimes you just need a recycling & waste container that’s cost effective and works like a charm. 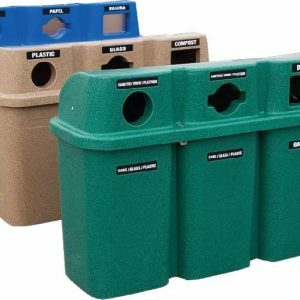 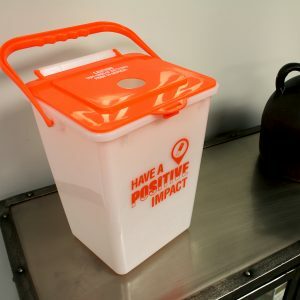 The Sentry is the ideal economical collection bin. 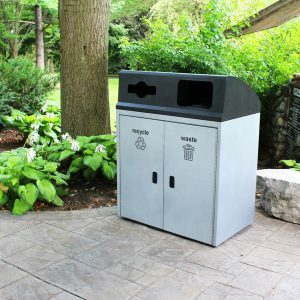 Durable for the outdoors and practical for large indoor spaces, it’s design is high capacity, built to last and easy to maintain. 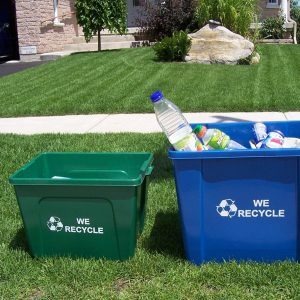 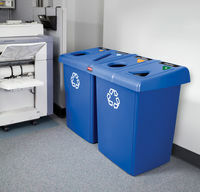 The Wave Series Recycling Containers are a perfect solution to both indoor and outdoor recycling and waste collection. 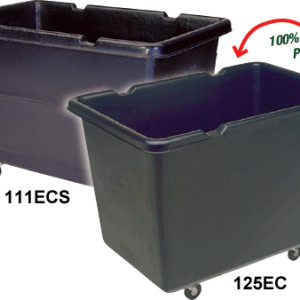 Available in solo or duo models, these rotationally moulded bins are durable and come with a secure lid space for food trays as well several opening options. 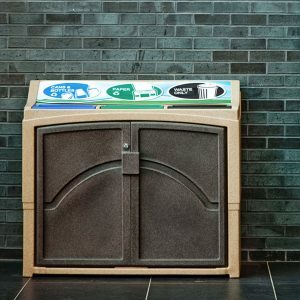 The bin liners for the duo model fit tightly inside and come with optional perfect fit bags to maximize collection space. 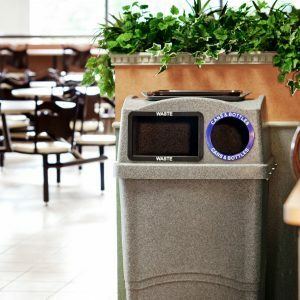 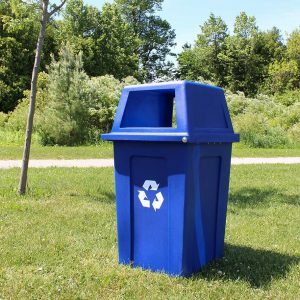 The Uptown Series of recycling and waste bins are the example of form and function in high traffic areas. 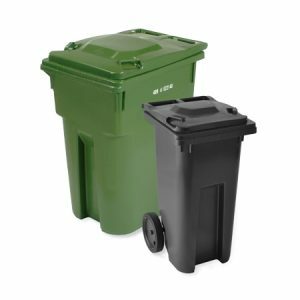 Manufactured to withstand the elements, the Uptown is durable, offers easy serviceability, has 32 gallon capacities for each stream and deflectors for proper sorting – a perfect fit for your municipal collection needs.